Diarrheal diseases are among the most common in the world. They are often underestimated in terms of morbidity rates. Acute diarrhea, which lasts less than two weeks, is responsible for the deaths of more children under the age of four than any other medical condition. If you have been suffering from diarrhea for over two weeks, it is considered persistent or chronic once the fourth week is reached. Suffering from diarrhea, whether acute or chronic, usually indicates that there are gastroenterology problems at play. However, these problems may also stem from a number of health conditions that are not directly tied to the gastrointestinal tract. Dr. Yamini and his team can provide a fully comprehensive examination which will lead to effective diagnosis and treatment. For the purposes of diagnosis and treatment, it is crucial to properly define diarrhea. The most important factor in identifying diarrhea is not the frequency of stools but the consistency of the stool itself. Diarrhea involves the passing of stools that are shaped like the container, which means diarrhea must be loose or watery in consistency. A gastroenterologist with the experience and qualifications of Dr. Yamini can assess the consistency of stools and provide the right treatment plan for your needs. If you are suffering from abnormal bowel movements, including diarrhea, you should seek a consultation with a highly qualified gastroenterologist. 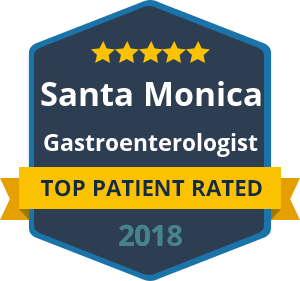 With offices in Santa Monica and Beverly Hills, Dr. David Yamini is best equipped to serve patients in California who are suffering from acute or chronic diarrheal diseases. Contact us today, and arrange a consultation with a team of gastroenterology professionals who care. We provide diagnosis and treatment for a range of GI conditions that present with symptoms such as diarrhea, constipation, abdominal pain and other defecation problems.